Some Texas lawmakers want to kill the franchise tax that so many businesses hate. So far, so good. But it might leave a hole in the state's pocket when it inevitably comes time to rebalance the state's financing for public schools. Texas lawmakers are trying to get rid of an unpopular but useful tax on business — an idea that sounds better to lawmakers today than it might sound to their successors in a few years. Property values in Texas will fall someday, shifting public education costs from Texans currently stuck in the property tax vise to the state itself. And the franchise tax on business — the tax that got the state out of trouble the last time it needed money for schools — might not be there next time. The Senate approved legislation last month that would reduce the franchise tax rates in future years if the state’s general revenue — money available for lawmakers to spend — grows faster than 5 percent in a biennium. Half of the excess money would be used to replace franchise tax income, and businesses that pay the franchise tax would see their bills drop accordingly. Who doesn’t want to kill taxes? The bill went through the Senate with only seven Democrats in opposition and everybody else in favor. Similar legislation scheduled for debate in the House later this week. Eventually the Texas economy will crap out. It always does, which is why these are called economic cycles. One great thing that will happen then, if you own a house, is that your house’s value will fall. While that's a rotten bit of luck if you want to sell the property, it's terrific if your goal is to stay put and pay lower property taxes. It's the current mess in reverse: As values go up, the state pays less for public education and local taxpayers pay more. As values go down, the local share is supposed to drop and the state share is supposed to go up. Property values in Texas will fall someday. From a tax standpoint, that’ll be a good day for property owners and a headache for their state government. Property values — and taxes — have been rising for years in Texas, soaking taxpayers and allowing the state to balance its budget on their backs — or, if you prefer, their property taxes. In the next budget, that formula could shift another $3.6 billion in school costs from the state to local school districts. 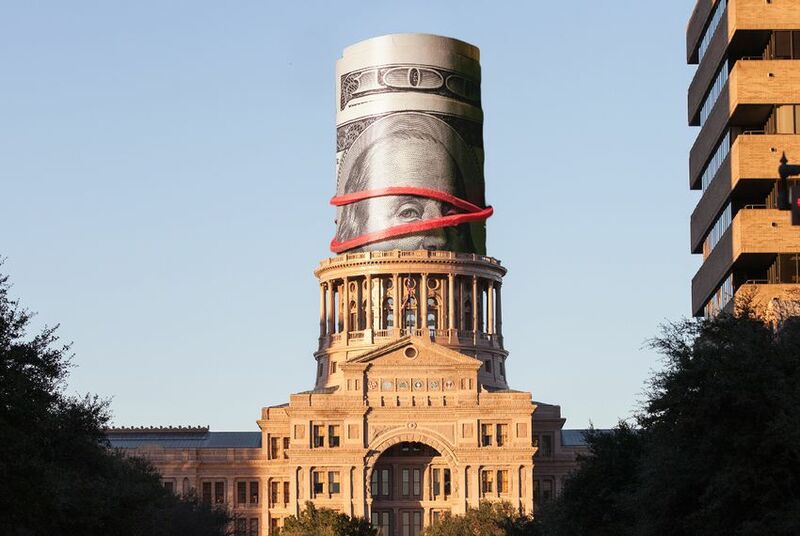 When values and taxes turn, it’s going to be an interesting time in Austin because the current state government’s understandable disdain for the franchise tax could make it very difficult for a future state government to raise the money it’ll need for school finance. This franchise tax has a turbulent history. Businesses hate it because they’re taxed whether they make money or not. Unlike many voters, business people like income taxes better than other taxes for just that reason: They only pay when they have money to pay. The last time this was addressed — during a 2006 special session — lawmakers wanted to cut your property tax rates and fix the school finance system. At the time, the most-cited problem with the franchise tax was that so many businesses had been exempted that it had become unfair and unbalanced. The state broadened the tax, set relatively low rates and used the money to lower pressure on local spending and, with it, local property taxes. Businesses never stopped bellyaching about the tax, however, and lawmakers have steadily tried to answer their cries, lowering rates, setting higher exemptions to let more businesses escape, and so on. Those folks will be happy to see it go, if the current legislation passes and growth rates are high enough to replace the tax with other state revenue. This set of lawmakers might be happy, too. If the tax dies, they’ll get credit. And it’ll probably be a while before property values in Texas fall. It will be years before the state will have to restore its share of public education funding — 38 percent of the total now, according to the Legislative Budget Board, down from 45 percent in 2007. Texas might be able to rock along fine without that franchise tax for a while, and if some Texas Legislature of the future needs money, they can work it out themselves. That isn’t the 85th Legislature’s problem. Correction: An earlier version of this column said the trigger for a franchise tax cut would be growth over a year; it should have said growth over a biennium.